Explaining how the planet�s myriad crises are actually the birth pangs of a new Earth, this inspired exploration is Barbara Marx Hubbard�s prophetic call for a planetary shift. It explores the aftermath of the coming planetary renaissance that she has heralded for decades, and introduces an established popular global movement to cocreate a massive transition around a symbolic �Planetary Birthday� event on December 22, 2012. 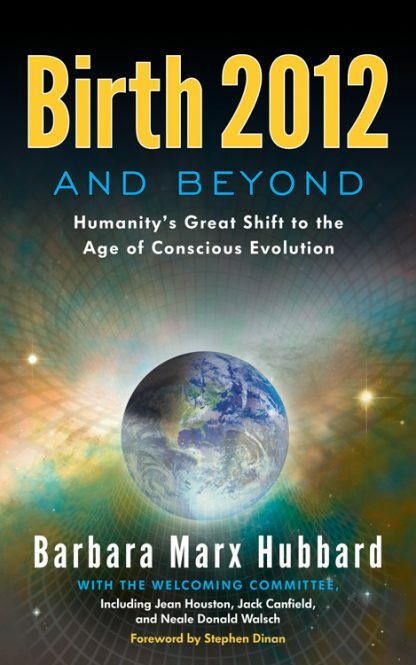 This volume features 12 evolutionary pioneers� commentary on the author�s key themes of collective birth and conscious evolution, aiming to foster the emergence of a sustainable planetary civilization. Featured contributors include Ervin Laszlo, Michael Beckwith, Jack Canfield, Jean Houston, and Neale Donald Walsch. Barbara Marx Hubbard is an evolutionary educator, speaker, author, and social innovator. She is co-founder and chairperson of the Foundation for Conscious Evolution, a Fellow of the Club of Budapest, and a co-founder of The World Future Society.